Unless otherwise indicated, all Scripture quotations in this volume are from the King James Version of the Bible. Published in the United States of America. All rights reserved under International Copyright Law. Contents and/or cover may not be reproduced in whole or in part in any form without the express written consent of the publisher. (1 John 4:16) And we have known and believed the love that God hath to us. God is love; and he that dwells in love dwells in God, and God in him. God is full of compassion and mercy: (Psa. 86:15) But thou, O Lord, art a God full of compassion, and gracious, longsuffering, and plenteous in mercy and truth. God is no respecter of persons: (Acts 10:34) Then Peter opened his mouth, and said, of a truth I perceive that God is no respecter of persons. (Prov. 11:23) The desire of the righteous is only good: but the expectation of the wicked is wrath. (Luke 18:19) And Jesus said unto him, Why callest thou me good? None is good, save one, that is, God. God DID NOT put sickness on you! It IS God’s will to heal… YOU! Every good and perfect gift comes from the Father. It IS God’s will to heal you. I know because His Word, the Bible, says so. Now, you just need to believe, (have faith in), what He has ALREADY said, in that Word. And LEARN to receive the good things He has for you, including your healing. When I first attended services in a church that practiced healing the sick back in the late 60’s, I heard a sermon on the subject of healing and anointing with oil. I sat through this sermon with a migraine headache, one of the many over the previous few months. After services, I thought I would try it out and be anointed. Immediately the migraine went away, and I am happy to say that I have NEVER had another one since. I was healed. I had been prayed for and anointed with oil many times since, for this and that, (never anything really serious). Sometimes I received healing, and sometimes I did not. It seemed to me that the more mature I became as a Christian, the less often I received healing. I found this to be somewhat confusing. Was it God? Was it me? Had I lost my initial zeal? I did not know the answer. Note: At age 45, I found myself being rushed into open-heart surgery. I recovered quickly and began to return to normal life, only to be rushed back into the hospital. There, after dozens of tests, the doctors came in and gave me the bad news. They said that the surgery had failed, and that I was going to die, and that there was nothing more they could do for me. All they could offer was a heart transplant, which I declined. They sent me home to die. Through this experience, I have had to heavily focus on the subjects of faith and healing. I came to understand that sometimes God WOULD heal us on the faith of ANOTHER PERSON. (This is how I had been healed on all previous occasions.) I believe that this is so that we can SEE that healing by faith really WORKS! At this time, I really did not understand that there was any benefit to having my own faith because I had always depended on the minister’s faith and on the faith of other people that would include my situations in their prayers. But now, for the first time in my life, the situation was truly desperate. In retrospect, at this point I was spiritually dead and had no hope or faith of my own. So, I went on a campaign and began to request prayers. At one point, I had massed nearly 1000 wonderful people, from my denomination and from many others. I had hands laid on me, and was anointed with oil four or five times based on my desire to be healed, the faith of the minister, the prayers and faith of all these people, and my faith that God can and does, sometimes, heal people. It seems however, that God will only heal on another’s faith a number of times, just to get us started, (when we are still baby Christians). 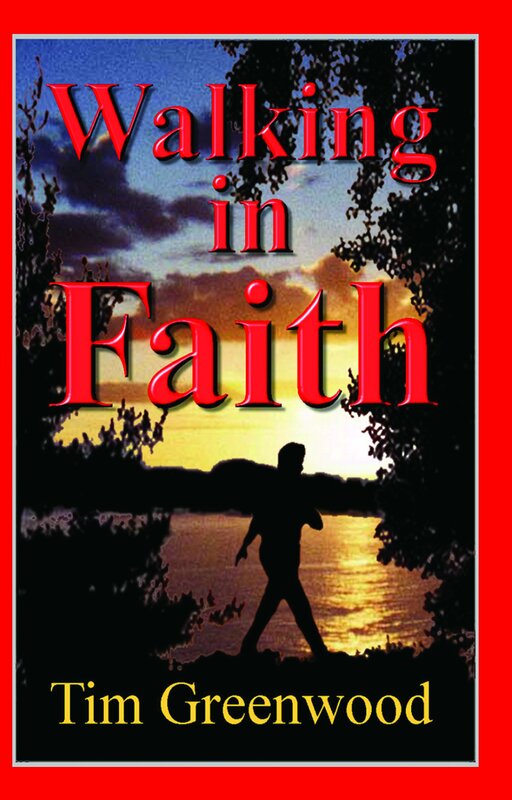 After this, (when we should be matured), it seems that God expects us to begin to exercise OUR OWN FAITH. This is why sometimes, I did not receive healing. I KNEW that God could heal. I knew that He does heal. In retrospect, I did not understand anything about faith. I, like so many others, just thought I did. Then I began learning some things about faith. (Mat. 17:20) … verily, [I’m telling you the truth, when] I say unto you [YOU! ], If ye [YOU!] have faith as [little as] a grain of mustard seed [about the size of the head of a straight pin], ye [YOU!] shall say unto this mountain, remove hence to yonder place [I command you to get out of my path! ]; and it shall remove [then the mountain will get out of my path! ]; and nothing [NOTHING!] shall be impossible unto you. How many of you have tried this scripture out on one your local hills or mountains, telling it to move … to no avail? I always thought this scripture to be a little odd, with Jesus seemingly rubbing our noses in just how little faith we have. But I came to find out, that is not the case at all! The focus is NOT on how little faith we have, but rather on FAITH itself, and how to put it to work for us! Is my faith my religious affiliation or denomination? That can’t be right, because Jesus said that we were supposed to have some quantity of faith, and an affiliation would be a faith. Is my faith my personal set of beliefs? That can’t be right for the same reason. Is my faith, that God or Jesus can or will do something? That can’t be right either! So then: What is faith? Where does faith come from? How do we get it? How do we know if we already have ANY faith? How do I use this faith? (Heb. 11:1) Faith is the substance of things hoped for, the evidence of things not seen. (Rom. 10:17) Faith comes by hearing, and hearing by the Word of God. Do we have ANY faith? (Rom. 12:3) For I say, … to every man that is among you, … to think soberly, according as God hath dealt to every man the measure of faith. If we believe the Word of God and have accepted the sacrifice of Jesus Christ and are reading and hearing that Word, then we DO HAVE at least the faith of a mustard seed! Yes, even if our measure of faith is tiny, we do have enough! So then, why does the mountain not move? Because, this scripture is an analogy… a very important analogy. I had been going to church and a student of the Bible for over 25 years before I understood this. What a revelation to realize that this mountain is analogous and symbolic of whatever seemingly huge, immovable problem, (or even some terrible illness), that is blocking our way in life. And, this wonderful scripture tells us exactly what to do. We are to step up and face this mountainous problem, and SAY to it “GET out of my way… and GO jump in the lake!” Like casting out a demon, in the power and name of Jesus. (Mark 11:23) “For verily I say unto you, That whosoever shall SAY unto this mountain, be thou removed, and be thou cast into the sea; and shall not doubt in his heart, but shall BELIEVE that those things, which he SAITH, shall come to pass; he shall have whatsoever he SAITH. Have what? You shall have whatever you SAID! Faith, is not your “religion.” Faith, is not just a state of mind. Faith is more than believing IN God and Jesus. Faith is more than belief that God or Jesus can or even will do something! Faith is the BELIEVING that we ALREADY HAVE, what we SAID we were asking for. (And the SAYING is just as important as the BELIEVING). Faith is belief that God has ALREADY done something because His Word said He would! Because, faith is BELIEVING and trusting God, and then ACTING on that belief and trust. So, real Bible faith is believing what the Word of God says, so much, that you step out and ACT upon it. When I learned this, I immediately got a degree better, but still kept experiencing some of the symptoms. I was sure that I was still missing something, so I kept looking until I found the answers. You see, faith is not just something that you have. It is something that you have to use! James 2:14-26 says that faith without corresponding actions is dead! Jesus stripped, (spoiled or disarmed), the devil and his demons of all their weapons, their entire armor, all their power and authority and then humiliated all of them! (Col. 2:14) … Blotting out the handwriting of ordinances that was against us, which was contrary to us, and took it out of the way, nailing it to His cross. (Col. 2:15) And having spoiled principalities and powers, He [Jesus] made a show of them openly, triumphing over them in it. And Jesus even took the devil’s keys! (Rev. 1:18) I am He that liveth, and was dead; and behold, I am alive for evermore, Amen; and [I, Jesus,] have the keys of hell and of death. On the other hand, Jesus has given us the authority to use His Name in authority over all things. He gave us a legal Power of Attorney, to use His name to do all that He did and more! And that Name. The Name of JESUS is above ALL other names in Heaven and Earth! (Eph. 1:21) Far above all principality, and power, and might, and dominion, and every name that is named, not only in this world, but also in that which is to come. (Phil. 2:9) Wherefore God also hath highly exalted Him, and given Him a name, which is above every name. Just remember that Jesus IS the name. ALL other names must bow, (i.e., submit), to the NAME of JESUS. His name, JESUS, has power! This authority gives our words power. God created mankind and gave him dominion and authority in the earth. Adam, that first man, committed high treason by handing over that dominion to Satan. Satan held dominion and power in the earth until JESUS defeated him and took possession of that dominion and authority. Then, before He ascended into Heaven, JESUS gave us that dominion and authority through the use of His name. There will be more on this later on in the book. The devil no longer has any power or authority of his own. It’s only a bluff, like a bully on the school yard. He has to use YOUR own authority against YOU and he does this by using your own negative words. If you refuse to allow the devil to talk you out of your healing, then there isn’t any way that he can keep you from being healed. God sent His Word to heal you, (Psa. 107:20), and His Word works! He keeps His Word. So (this is important), don’t let lingering symptoms discourage you. Your healing may be instantaneous, but if not, don’t let doubts arise just because you do not see immediate results. It may take time for you to feel completely healed. So what do you do in the mean time? 1. God’s Word is the final authority. The Word says that by His stripes you were healed! (1Peter 2:24, past tense), quoted from (Isa. 53:4-5, future tense). Receive your healing as already taken place. Refuse doubt and unbelief. When the devil attacks you and makes you think you’re still having symptoms, or whispers words of doubt and unbelief into your mind, deal with it immediately. Cast them down, rebuke and bind them, in Jesus name, (Mat. 16:19, 18:18). And praise God for your healing! The Greek word for “rebuke” means “to superimpose a value upon.” So when you rebuke, you must set its value compared to the value of the Word of God and verbablly put what you are rebuking in its place. Don’t dwell on the symptoms; don’t accept the devil’s arguments, deception and lies. Anything that is a stumbling block to your faith, is darkness and of the devil. They may come through your own body and mind, family, friends, doctors or even your well-meaning pastor. I do not care where you hear or see stumbling blocks, do not accept them. (Rom. 14:1) Receive him that is weak in the faith, but NOT to doubtful disputations. Refuse to believe everything you see and feel. If what you see or feel contradicts the Word, only believe the Word. What you see and feel is not always real, but may be manifestations of the devil to cause fear, doubt and unbelief. I know this first-hand! This is where many loose the battle! Do you need faith? Faith comes from hearing the Word of God. Fill yourself through the eyes and ears with the Word of God until it fills you up, and overflows out of your mouth. This will release faith, and faith releases grace and healing. (Luke 6:45) …for out of the abundance of the heart, the mouth speaks. God will place a hedge about you. But, fear is a gateway in that hedge, which allows the devil to get to you. This is because fear is the devil’s counterfeit of faith and is part of darkness. Light, (faith), cannot coexist with darkness, (fear). The devil will use every trick, lie, and deception, to cause you to fear and to open the gate. He is ever watchful of that gate. Therefore, keep it closed and locked by consistently renewing and increasing your faith. (1 John 4:18) …perfect love casts out fear…. Praise God For Your Healing. 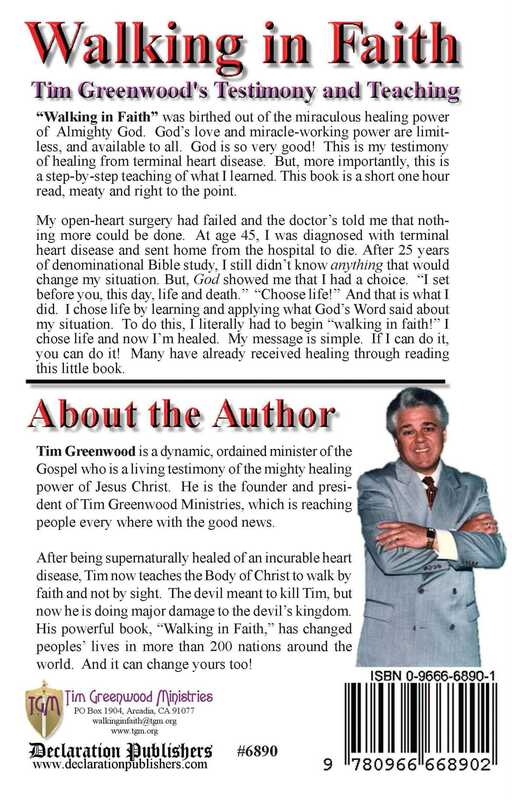 How would you praise and thank God if you knew that you were healed this instant? Then praise Him like that NOW! Praising God for your healing, before you see a manifestation, is the highest form of faith. (This IS the shield of faith!) And afterwards, thank God every day that you are healed. (James 1:6) James said that the person who waivers in his faith should not expect to receive anything from the Lord. (1Tim. 6:12) …fight the good fight of faith…. (Eph. 6:12) …For we wrestle not against flesh and blood, but against principalities, powers, rulers of darkness and spiritual wickedness. (Eph. 6:13) Therefore put on the whole armor of God and stand your ground. And having done all to stand… STAND! This kind of praise is your defense, (your shield), and has proven to be even more effective against darkness than using your sword. Speak Only The Positive! Speak only words that are in agreement with God’s will for your healing. You have to BELIEVE you are healed, and that is impossible if you are constantly talking about your sickness. Therefore, every day, let God, the devil, and your body know, by what you SAY, that you believe that you have received your healing, (Mark 11:23-24). What you SAY is important! (Mat. 12:36) In the day of judgment, men shall give account of EVERY idle word they have spoken! “Heavenly Father, I thank You for Your Word that says that by the stripes of Jesus I am healed. I choose to believe that Your healing power went to work in my body the very instant that I believed Your Word. Jesus Christ is Lord over my life – spirit, soul and body. I have received the power of God to make me sound, whole, delivered, saved and healed. Sickness, disease, pain, I resist you in the Name of Jesus. You are not the will of God. I enforce the Word of God on you. I will not tolerate you in my life. My days of sickness and disease are over! Jesus bore my sickness, weakness and pain, and I am forever free! This kind of prayer proclaims, (says), to God, the devil and everyone else, that you believe that the Word of God is true, and that the Word says that you are healed! These scriptures are all on the TGM website: www.tgm.org. Take your Bible or go to the web site and read each of the above scriptures, out loud. That’s right, I said, out loud! Read them loud enough, so that you can hear them with your own ears. Please understand that this is God, speaking … to YOU, through the written record of what He has already said! Meditate on each phrase, and feel God’s care, compassion and love, in His Word. Receive His Word as Him speaking to you. And, apply His Word to your situation. As part of the process of learning all of this, there came the time that I had to act on my faith in God’s Word. I had to start doing what I could not otherwise do, due to the sickness. For me, this involved walking more than 20 feet. So, with Marcia’s help, I made my way out to the sidewalk to begin. Now, manifestations of symptoms of heart disease vary from person to person, but the main symptom, angina, for me manifested as follows. I would feel tightness in my left chest, which would spread up and along the collarbone, under the arm causing a spreading “charley-horse” behind the left shoulder. This would magnify and cause “charley-horses” on both sides of my neck and in the left upper arm. The pain would continue to intensify until I could feel my feet begin balling up into fists. Tears ran down my face, my lower teeth ached and the pain felt like a fire just above the left elbow and just behind the left shoulder. My heart was pounding out of my chest, I could not catch even a partial breath and I became light-headed and sick to my stomach as I felt all the blood draining from my face. It would hold like this for a few moments and then all would subside, leaving me totally drained and gasping for air. Once they began, unless I would immediately sit down, regulate my breathing and heart rate, the attacks would fully manifest as described. We began walking. At about 20 feet, an attack began. I told Marcia and we both began rebuking sickness, disease and the devil. By the time we said, “in the name of Jesus” the attack had already spread under my arm, but instantly stopped in its tracks! We walked about another 20 feet. Another attack manifested, was rebuked and also stopped, (this time before it got to my underarm). This process continued, never varying, with attacks occurring every 20 feet. Part of me could not wait to get out to the sidewalk and try this out! But, another part did not want to chance another full-blown attack that may come if I was wrong. I decided then and there, this was literally, going to be do or die. I had made up my mind that I was NOT, going to be defeated by the devil. He was wounded for our transgressions, He was bruised for our iniquities: the chastisement of our peace was upon Him; and with His stripes we were, and are, healed. We got 20 more feet, and this time no attack came and I was able to walk 40 feet! Double what I could before. But at 40 feet another attack began to manifest. We immediately praised God like before using the Shield of Faith and the attack stopped, and on we walked, this time 80 feet, again doubling the distance! Then, double that and double that… and, it’s been like that ever since. Now, I am praising God nearly all the time. I think I have become an actual, Praise Addict! And may I never be delivered from that. God is so GOOD! WARNING!! I feel that you need to be warned, or forearmed, about something. Satan is happy just to keep you in a state of Non-Resistance. But should you disturb that status-quo, (say by acting on your faith and winning a victory over his influence), he will likely come against you in some way to attempt to negate that victory. If you are too strong, then he may come at you from another direction or through someone close to you. Therefore… while you are celebrating your victory, keep your armor on, your sword and your shield at the ready and be on guard! IMPORTANT: What you have just been taught is NOT just something that you use when you get sick. Once you start this, you CANNOT quit. It MUST become a Way of Life! You must get in line with God’s Word, make changes in your life and develop your fellowship with Him. If you don’t, you run the risk of loosing your healing during a counter-attack. You see, even the greatest of sinners can receive the miracle of healing. However, continued Divine Health requires receiving Jesus as your Lord and Savior and obedience to and trust in God’s Word. And you need to do this based upon your intimate knowledge of God’s love for you. Knowing that God loves you so much that He will do what He said that He would do. This is really all you need. I could have written volumes on this very deep and rich subject, but this basic teaching is all you really need to receive your complete and total healing. I trust that the information in this book has helped you as much as it has helped me. If you learn what I learned, believe what I believe and do what I did, then you will receive what I received! Praise God, for I am HEALED!